This is one really late entry, but HM has been too busy to send me the photos from her camera. And since I'm resting my poor injured ankles at home today. I've decided to blog about it too! I've always loved MM's products and especially their packaging. It's always so fairytale-like & magical-looking. 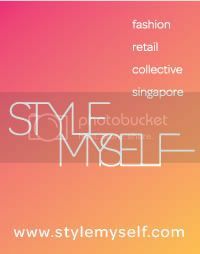 Makes you wanna get your hands on all of their stuff; especially their foundation casings! Chapter 27's going big on purple & pink if you have not noticed. And wearing pink is something really tricky, some of us probably swear that wear pink on our eyelids will look like we just got into some cat fight at a Kate Spade warehouse sale. So we were treated to a live demonstration on how to use their gorgeous eye colors. Drawing inspiration from Shakespeare's Midsummers Night Dream. It is about a young lady who was having a stroll when a Dahlia flower whispered to her, asking if she would like to look beautiful. Both palettes are limited edition, so grab yours from Watsons now. They are packaged in a book-like style to suit the fairytale theme. So you really got to check them out at Watsons. Anyway, if you noticed there's a glossy silver compartment on each palette. This is something new & innovative! 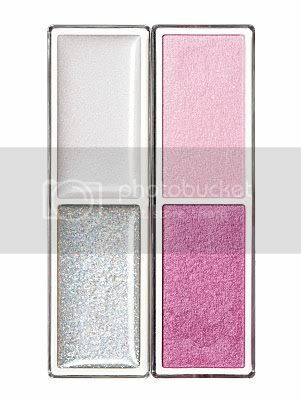 It's a special eye gloss that contains large pearls to create a 3D, pure & watery effect! So the first step is to use the eye base which is the one of the top left-hand corner. This works like an eyeshadow primer on your lids. Next, you spread the top right-hand corner (lighter shade) across your inner lid to outer lid. After that, you blend in the bottom right-hand corner (dark shade) across your mid lid towards the outer lid. And then you finish off with the special eye gloss which works as a 'seal' to ensure your eyeshadow lasts for the rest of the day! We can't just wear eyeshadow without any eyeliner, right? 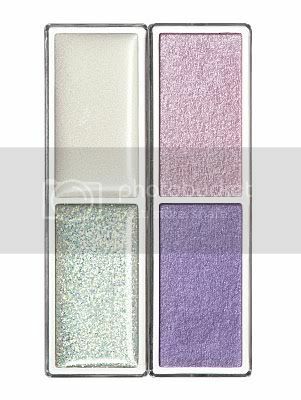 lack base with a tinge of violet pearls for defined and alluring eyes. Personally, I think this would look great for clubbing makeup! It's dark and has shimmers on it. And last but not least, to finish up the entire look. It comes in a shade of deep violet that's said to create thick,lustrous and dreamy lashes,like a flower in full bloom.